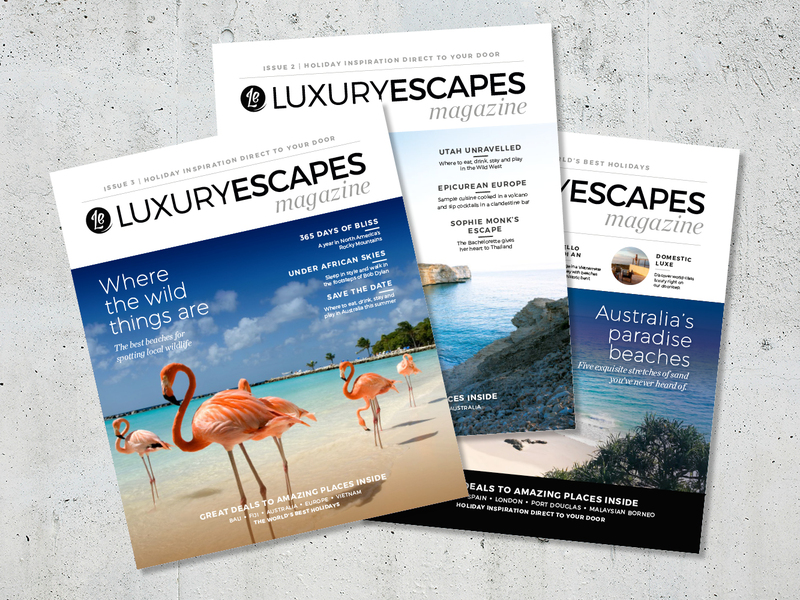 Luxury Escapes was looking for a design and content team to help them put together a fortnightly publication to promote travel and their great holiday deals. 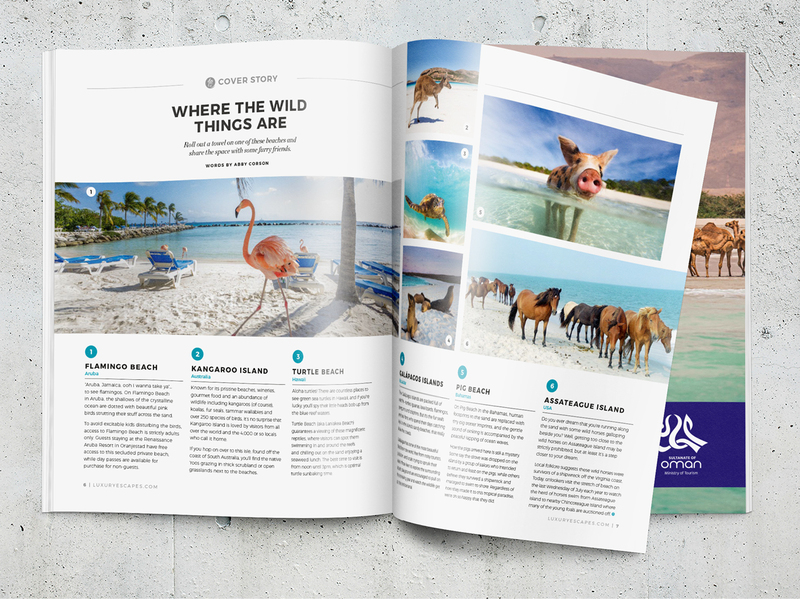 They looked to us at Grin Creative and we said – of course. 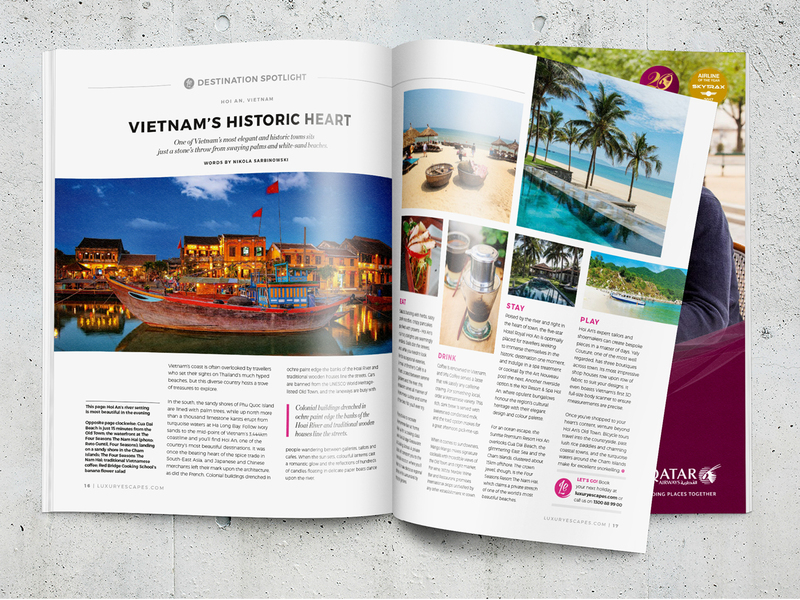 I have been the lead design on this project since its beginnings, four issue ago. Released once a fortnight, in 500,000 copies, this magazine is sent to middle to upper income households in Sydney and Melbourne suburbs. 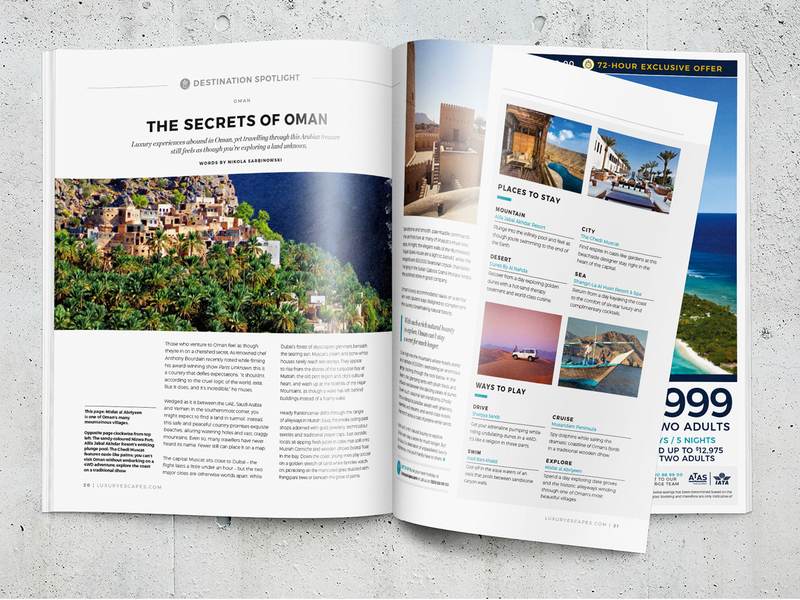 As the Art Director for this publication, I worked closely with our Grin content team to co-ordinate and manage content strategy, timelines and design. 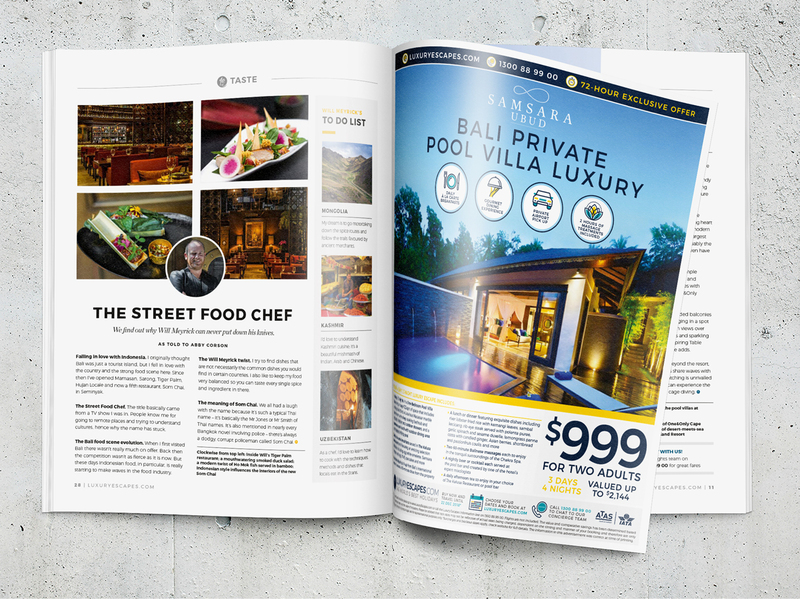 Production and advertising sales for the magazine are handled in-house by Grin Creative. The end product is a great read that inspires travel to place people may never have considered.